Get the funk tracks you want with this massive collection of grooves, breaks, fills, and samples. The Rock Hard Funk Series will power your rhythm section with the real deal, not the cheesy stuff that plagues our competition. If you’re tired of the same tired beats, get yourself nearly 2 GB of a new and original funky drummer into your music. Total Loop Content: 2.0 GB, includes drum and cymbal samples for all recorded loops. Download the entire Rock Hard Funk Sample Series! Finally, some funk drum loops worth downloading and adding to your songwriting workflow. 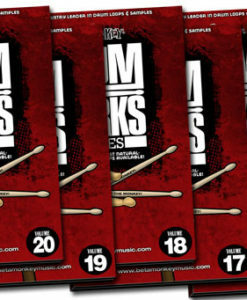 Get the funk drum tracks you want with this massive collection of grooves, breaks, fills, and samples. With the flavor and soul that can only come from a live funk drummer laying it down, this is a powerful and inspiration collection of funk drum loops. When you’re after a brand new bag of funk, the Rock Hard Funk Series delivers only the finest grooves and beats. So, forget the stiff, cheesy stuff that plagues our competition, it’s time to bring the real thing into your music. Featuring 100% live acoustic drums, this massive funk loop bundle delivers the beats your music needs. Recorded in two of the most renowned studios in California, you’ll get a healthy mix of classic and contemporary funk grooves from the styles of P-Funk jams, soul, neo-soul, classic James Brown funk, funk rock, jazz-funk, and R&B. 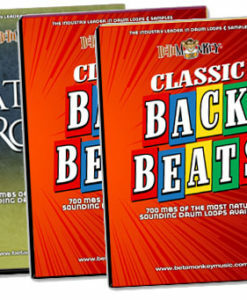 If you want the funk, the Beta Monkey Funk Bundle is, beat for beat, the most versatile and value-packed songwriting drum sample resource you’ll find anywhere. We guarantee these beats will leave you in a cold sweat and begging for more. Load up these grooves in the DAW of your choice and and hold on tight. 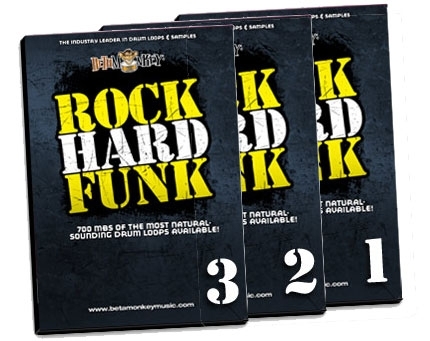 It’s time to leave the Roland 808 in storage and get your hands on these three installments of the Rock Hard Funk Series: Rock Hard Funk I, Rock Hard Funk II, and Rock Hard Funk III. 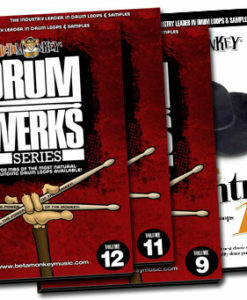 Get a powerhouse collection of funk drum loops. So, if you’re tired of the same old beats taken from vinyl, you get nearly 2 GB of original funk drumming to inspire new music. Wickedly funky and 100% live – this is the stuff of dreams for members of the Funk Nation! 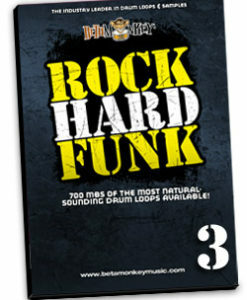 The Rock Hard Funk drum loop bundle delivers funk beats guaranteed to leave you in a cold sweat and begging for more. You want to hear the drummer get wicked? Load up these funk beats in your DAW of choice and and hold on tight or else the proverbial roof of the sucker will be torn off. Leave the Roland 808 in storage – it’s time to get some live acoustic drums into your mix. Above all, the Rock Hard Funk bundle is a powerhouse sample library for anyone writing funk tracks. You want that deep pocket to track your bass lines? The dirty backbeats? The fat grooves or the tight syncopated snare crack? It’s all here in the Rock Hard Funk Series. 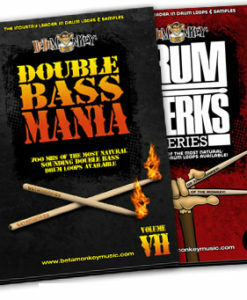 Order the Funk Drum Loops Combo Pack for only $69.99 (a 37% savings). That is the nastiest in you face funk drummin’ I have ever heard on any loop CD. Damn I’m gonna write some killer stuff. Y’all watch out!! Thanks for the great service. The drum loops are being used in a Boss BR16 digital recorder with a .wav function. They work great and seamlessly. I am looking forward to buying more products from you guys! The 2-CD set Rock Hard Funk is sweet sounding – SCREW DISCRETE DRUMS. YOURS are BETTER and SOUND BETTER. Hey, I just received the Rock Hard Funk and Odd time Meltdown packs. WOW. Recording and the drum sound is great. I like how the snare sound high in pitch and not to mention the sweet riffs. Definitely useful for my sound design and audio productions. Will send something when I have made something nice..